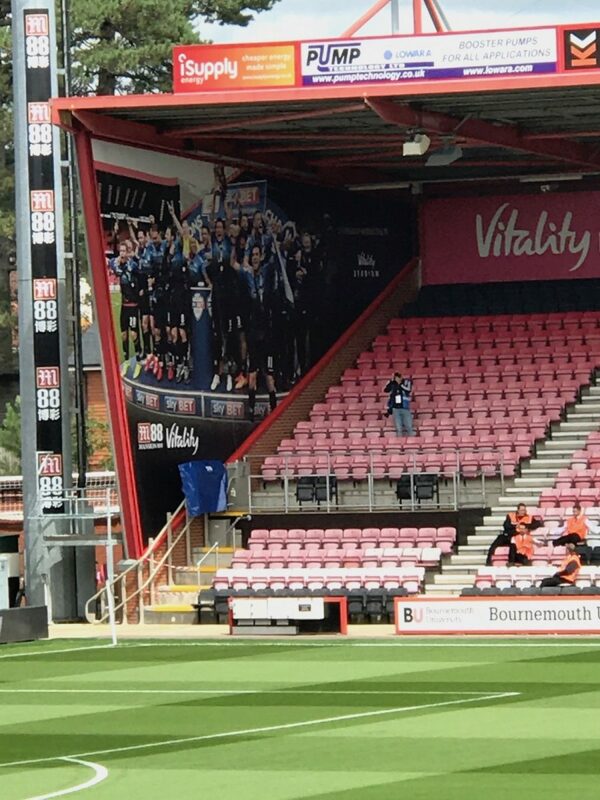 I visited the vitality on the 3/11/18 as an away fan. I found the Bournemouth DLO Alice very helpful and supporting in a personal situation, along with friendly stewards. I went from my car (on double yellow lines outside the stadium) to the away entrance perfectly fine although I do believe car parking is available. The away end had lowered food & drink part for wheelchair users with a sign above alerting you to it. They also had a toilet I however didn’t use it. I was sat pitch side, although there is seats higher up accessed by a lift. Pitch side can be a bit dangerous when team scores but what I love is your right in with your own fans.